Jawad, the son of an Iraqi mghassilchi (washer of corpses), is expected to follow in his father’s footsteps, especially after his brother’s death in the Iran-Iraq war. The young man has other ideas though, having been inspired by one of his teachers to become an artist, later choosing to concentrate on sculpture. Braving his father’s disapproval, he decides to escape the cool, dark wash-house and dreams of studying abroad. 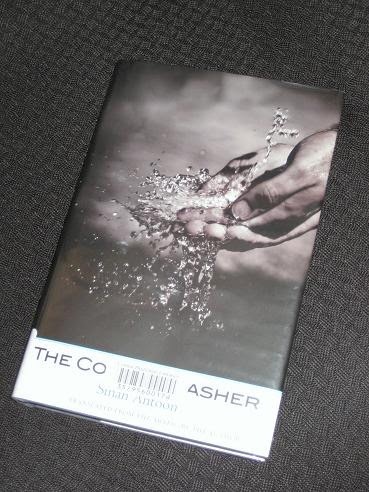 The Corpse Washer was a surprise to most of the Shadow Panelists, perhaps the least-known of the books on the longlist. It was definitely a nice surprise though, an elegant little book which gives a fascinating insight into a time and place which, while known superficially from the news, is in reality almost completely alien. The book begins by introducing the concept of the mghaysil, a place for Muslims to be ritually cleaned before being buried. Jawad’s father is a master of the art, and for decades he has been preparing the people of the city for their final resting place in a calm, professional, caring manner. At this point, the writer describes the process masterfully, choosing to use short, simple unhurried sentences, dispensing with sequencing words; it all gives the impression of a well-rehearsed ritual, taking away any mixed feelings the reader may have on entering a house of the dead. For Jawad, this is the realm of death, and for a young man bursting with life, escape is the only possible choice. Baghdad was a city long known for tolerance and learning, but the American occupation, far from restoring the city to its former glories, unfortunately appears to have made things worse. My initial feeling was not quite. It’s not that the book isn’t very good – on the contrary, it’s probably one of the finds of the longlist. However, while there are few real stand-outs this year, the level of the top eight or so books is very high, and I’m not sure this one quite makes it into the top six. One reason for this is the way the American occupation is handled. With the Iran-Iraq war and the brutality of the Saddam regime glossed over, it seems a little strange to focus purely on this period as a bad one. No doubt this would not come across in the same way to an Iraqi reading the original Arabic text, but to me the style of the book as a whole was interrupted by some of these scenes. I loved this one for me it was the discovery of this year's list tony ,unlike the other years were the book I vaguely knew has turned out to be a bad book bundu ,alice need I say more .I felt the simple style to this was much clearer than Iraqi christ due to that. Beautiful review, Tony. I'll have to wait a little while before reading this one as it's still on order with our library. Very much looking forward to it though, especially having read your review.